Hillsdale County Sheriff’s Office announced Sept. 19 on Facebook that the AT&T tower, which was scheduled to launch in December, started pro­viding cov­erage three months ahead of schedule. Lieu­tenant Todd Moore said that the sheriff’s office was in contact with AT&T over dealings in regards to its first responder network. Moore said that they received an email from AT&T that said the tower was up and running. AT&T said in a Sept. 21 news statement that the new tower will provide faster and more reliable wireless service in the area. In the past, there have been well-known issues with AT&T in Hillsdale. Sophomore Trevor Vogel was an AT&T cus­tomer last year, but switched providers. According to AT&T spokes­woman Teresa Mask, the tower should allow res­i­dents and employees who have AT&T as their provider to get better service on their mobile devices. “With 4G LTE service, cus­tomers will expe­rience better network con­nec­tivity while streaming videos, sharing on social media or texting family and friends,” Mask said in the news statement. Over a quarter of Hillsdale res­i­dents use AT&T. Mayor Adam Stockford said in an email that it’s long past due that the city has an oper­ating AT&T tower in the city. “We might not be a met­ro­politan area, but we’re still a city, the biggest in the county, and it was unac­ceptable that we didn’t have usable service for one the biggest telecom­mu­ni­cation com­panies in the world,” Stockford said. Stockford also said that he is excited that those res­i­dents will now have better service to keep in touch with friends and family, and have access to the emer­gency ser­vices. 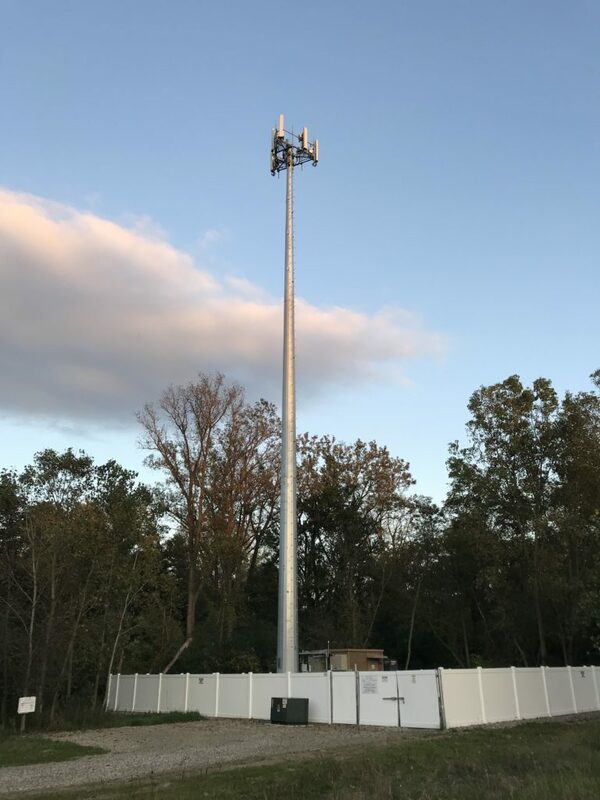 Despite the new cell tower, junior Philip Berntson, a cus­tomer of AT&T, has not noticed a dif­ference in his cov­erage. Sophomore Calli Townsend said she has expe­ri­enced better reception.